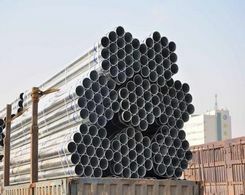 ﻿ How to Produce Black Steel Pipe? How to Produce Black Steel Pipe? The processes to produce black steel pipe are different, but each of them is not complicated. Black steel is famous for both strength and flexibility. Through different manufacturing processes, the mechanical property of the final products would be different. To save the energy consumption and produce the pipes at high efficiency, a lot of manufacturers contribute to improving the technology. 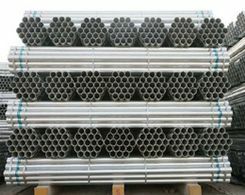 In terms of strength and toughness, steel pipes have the unparalleled advantages. Prior to the producing process, the manufacturers need to determine which type of products the customers need. Thinking about the final properties they want, the alloying elements and the heat treatment could not be the same. Generally, heat treatment consists of the forming and heat treating steps. The heating operation and the forming operation are not correlated to each other. While the steel pipes are produced, they are cooled down before apply heat-treating. This process have several disadvantages. For example, the heat is wasted since it is not used in the heat-treating process. At the same time, the interruption between the forming and heating would lead to the reduction. The present production process has overcome the adverse aspects. By taking advantage of the heat created in the forming process, the re-heating process could reduce a lot of energy. In addition, the expense to mine the ores is reduced with the development of mining industry. Thereby, the price of these price are dropping rapidly. 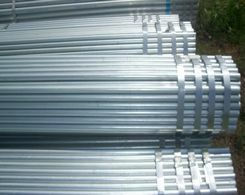 As far as I know, steel pipes were installed widely for home uses before the popularization of plastic pipes. Now most of the household pipes are made from plastic materials. But for heavy industrial purpose, the position of steel pipes could never be replaced.